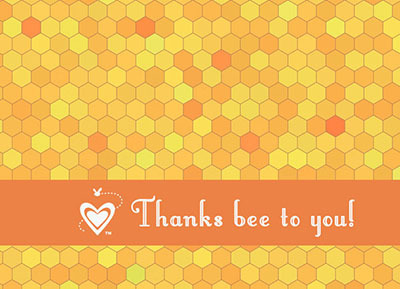 Our Raw Honey Lovers Gift Box -a gift of natural sweet treats! 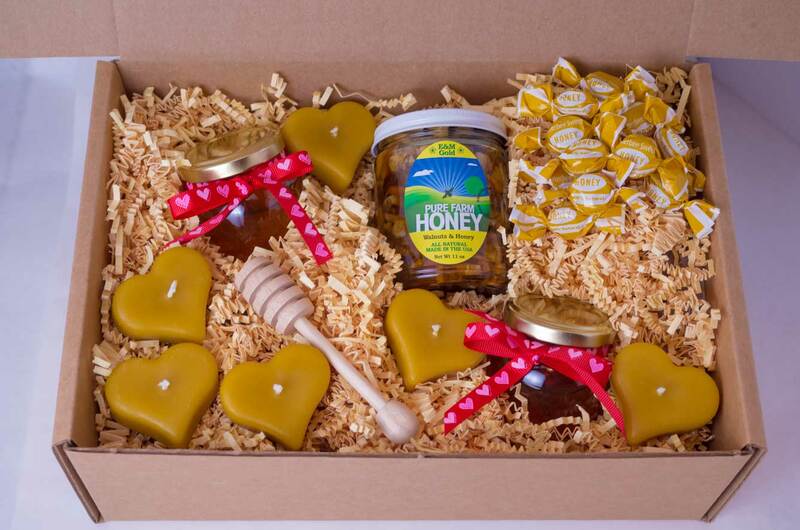 Bring on the romance with our Raw Honey Lovers Gift Box, the perfect romantic gift for any couple in love! Our Raw Honey Lovers Gift Box includes two Honey Pots filled with our light-in-flavor Spring Wildflower Raw Honey, plus a jar of our Walnuts and Summer Wildflower Raw Honey – a romantic gift making the most of the belief that honey is an aphrodisiac! Our Old Fashioned Wooden Honey Dipper adds flair to serving honey, with a tantalizing slow drizzle of our NJ Fresh, pure honey sourced right from our beehives. 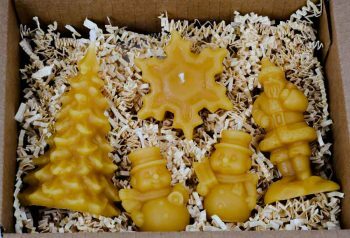 To further encourage a romantic glow in your gift recipients, we’ve added six of our natural Beeswax Floating Hearts and a small bag of sweet and pure honey candies. The Raw Honey Lovers Gift Box is the perfect gift for the couple in love, making this the perfect Valentine’s Day gift, anniversary gift, engagement gift, and we think it would be an excellent addition to a marriage proposal plan! 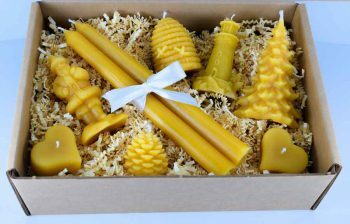 Sweet honey and floating candles? Romance will be in the air! For a romantic gift more unique than chocolates and personalized to your honey-lover, our Raw Honey Lovers Gift Box makes memories happen.